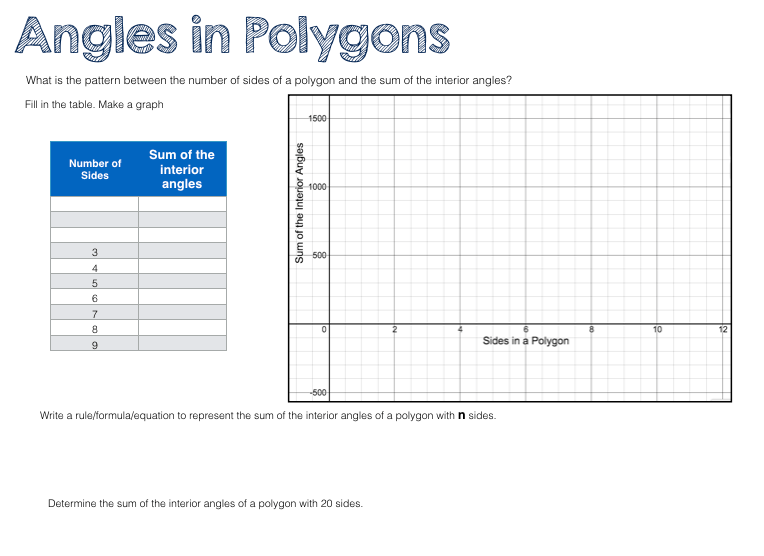 Day 3: Use the pattern of triangles in a polygon to determine the formula for the sum of interior angles in a polygon. +practice problems. I taught those lessons as if each is not related to the next! I showed this gif animation (not what I really wanted but I thought it would do the job). Then independently I had them answer: What do you notice? and, What do you wonder? After 2 minutes they shared with their partner. After 1 more minute they shared with the class. We used their noticing and wondering a to have a discussion on polygons, regular polygons, and acute vs. obtuse angles. “What would the interior angle be in a regular polygon if it had 20 sides, 30, 50? I emphasized that looking for patterns can help us generalize. We set out on a path to find out what the sum of the interior angles for 3,4,5,6,7,8 sided figures…maybe we can see a pattern. 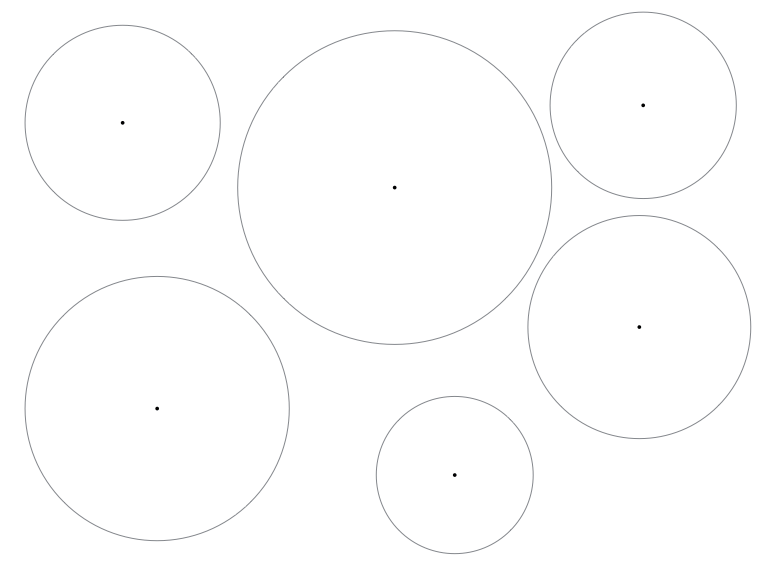 I handed out a page with 8 circles of varying sizes. I asked them to close their eyes and randomly plop their finger down on a circle. 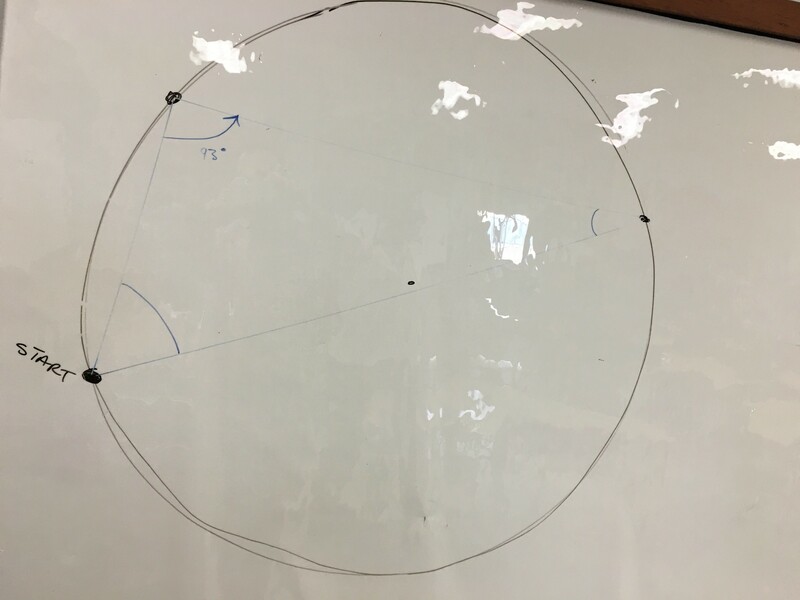 I asked them to place a point randomly on the circumference of the circle. And then to add two more anywhere on the circle. 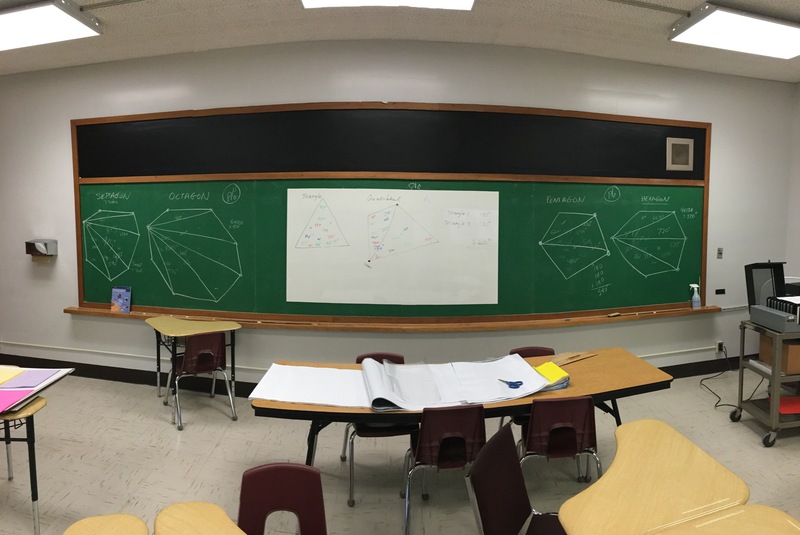 We connected the points up…at which time we talked about convex polygons. I handed out protractors. Measure the angles and write the sum inside the shape. I drew a giant triangle on the board and asked them to go up and put their sum inside the triangle. 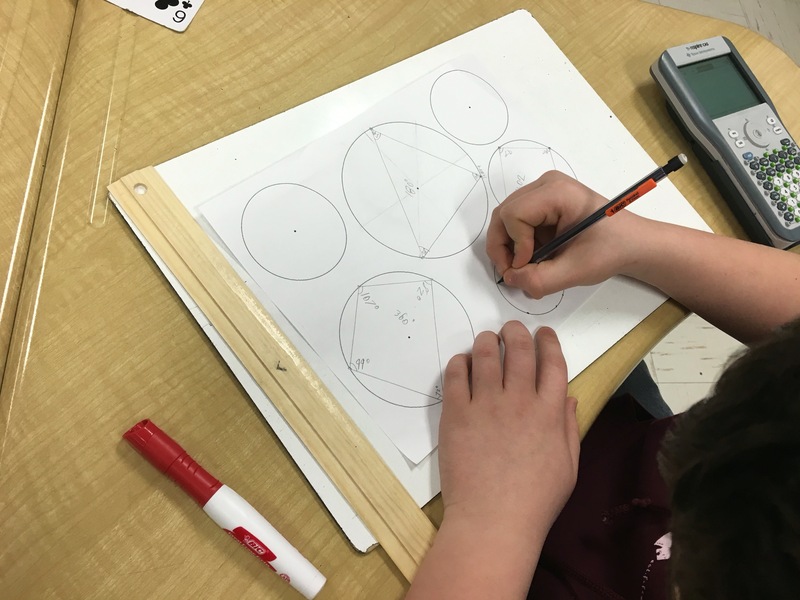 Next they drew quadrilaterals, pentagons, hexagons, etc in the circles, measured angles, and calculated sums. By the end of day 1 our board looked like this. We looked at the sums placed in the shapes on the board for the triangle. There were lots close to 180 but not a lot exactly 180. They seemed to remember that 180 was important and thought that all 3 angles should add to it. I had them cut their triangle out. Cut each corner off…and try to arrange the pieces to make a half circle. Boom! 180 degrees. On to the quadrilateral. They guessed that the sum of the interior angles for a quadrilateral was 360 but weren’t sure why. I asked them to pick a point on the quadrilateral and draw 1 line to make two triangles. We agreed that each triangle’s interior angles add to 180 and there were 2 of them…then 2×180 is 360. I handed out a sheet to keep track of the is potential pattern. We added those shapes to the sheet and plotted the points on the graph. We saw a definite pattern. A linear pattern. We found the first differences. We wrote a rule based on the number of triangles and related it to the number of sides in the polygon. We then found the equation using the rate of change and y-intercept from the table. 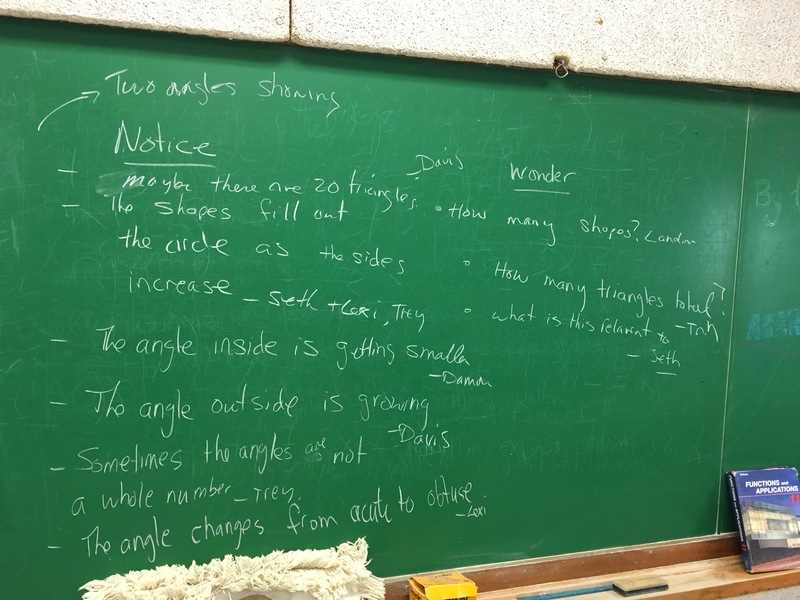 We finally used the equation to determine the sum of interior angles for a 20 sided polygon…then found what the angles would be in a regular polygon. 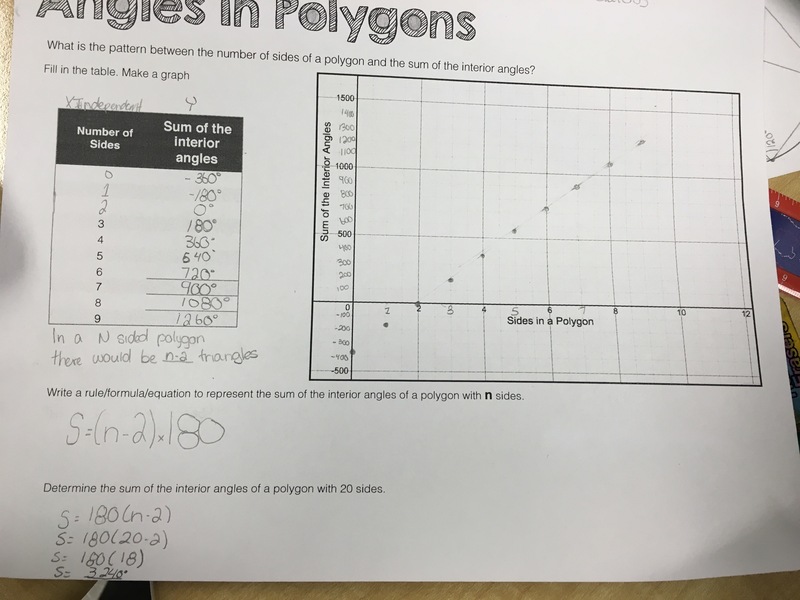 To assess the students they completed practice problems on finding missing angles for varying shapes for the last 20 minutes while I circulated. This course is all about patterns….use the patterns and prior knowledge to our advantage! Looks good! I’ve already taught these topics this year, but not this way. What a fun thing to before finals or as review/spiraling. Thanks! Thanks David. I’ve used sketches mostly in the past too.  I like this time how we crowd sourced most of this lesson!